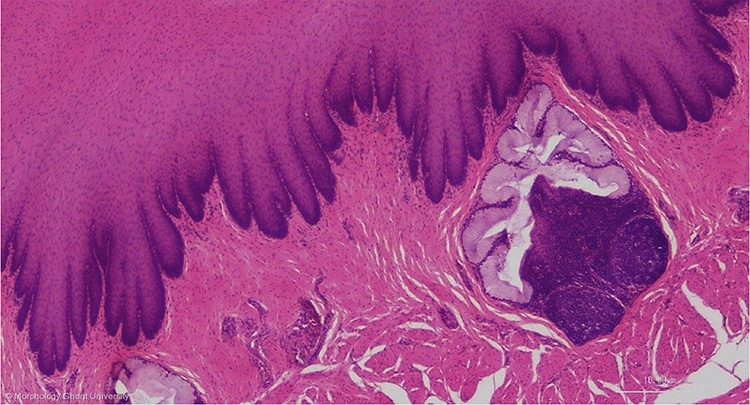 The lamina epithelialis of the esophagus is a very tick nonkeratinized stratified squamous epithelium. Numerous mucous glands are present in the lamina propria. Frequently these glands are associated with lymphoid tissue. The lamina muscularis mucosae is a very well developed layer. The tunica submucosa is sparse.